Difficulty: Pink - the first half of Saturday is flat through the Somerset levels, but there are a few tougher climbs in the Mendip Hills, including Cheddar Gorge. Sunday is gently undulating with just one or two slightly tougher climbs, but there’s more downhill than up in the last 20 miles. Two beautiful one-day rides starting and finishing in the historic mediaeval city of Wells, the smallest city in England with an impressive cathedral, ancient springs and a moated 800-year old palace, and journeying out into the cider-producing counties of Somerset and Dorset. Enjoy a flat first half of the ride passing through the neighbouring city of Glastonbury, home of Glastonbury Tor, once famed in Arthurian and Grail legend and now for its music festival. It was even said to be the home of the king of the fairies, so watch out, they’re troublesome little creatures and if you get a flat tyre, you know who to blame. From here, head into the wetlands of the Somerset levels, flooded at the end of the last ice-age but hugely important in the history of mankind. Pass by ancient ‘lake villages’ now home to peaceful nature reserves. The second half of the day commences after lunch as we climb through the steep-sided Cheddar Gorge, famed for its prehistoric caves (and cheese), a place where you still wouldn’t be surprised to see dinosaurs roamingHead up onto the Mendip Hills, Area of Outstanding Natural Beauty and enjoy a more undulating afternoon descending to the shores of Chew Valley Lake, before heading back over the hills and rolling gently down to the finish in Wells for a few well-earned refreshments (cider is optional of course). 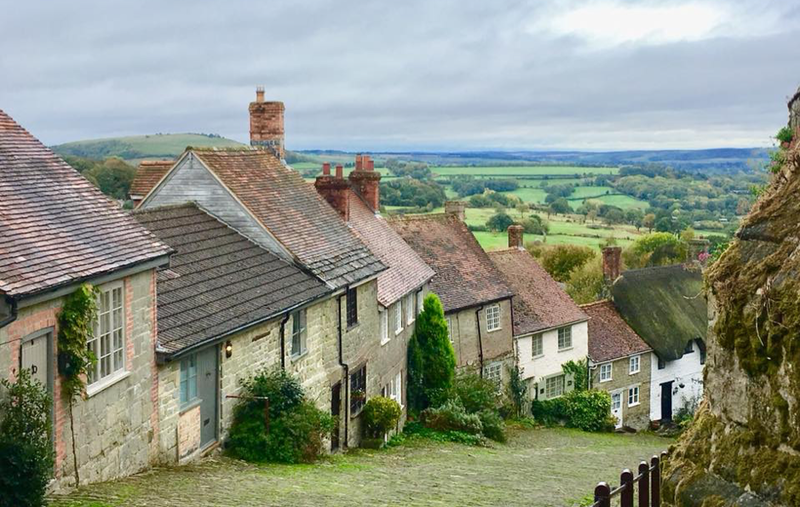 The morning sees us head south-east through quaint old towns and villages and peaceful rolling countryside, before stopping for lunch in the town of Shaftesbury. It was actually here that the famous Hovis advert was filmed on the steep, cobbled, Gold Hill, and not in Yorkshire as many believe. Don’t worry though, you don’t have to cycle up! Head home in the afternoon over Cranborne Chase, an Area of Outstanding Natural Beauty known for its chalk hills, river valleys and ancient woodlands, including a descent of the famous Alfred’s Tower, much easier than climbing it. 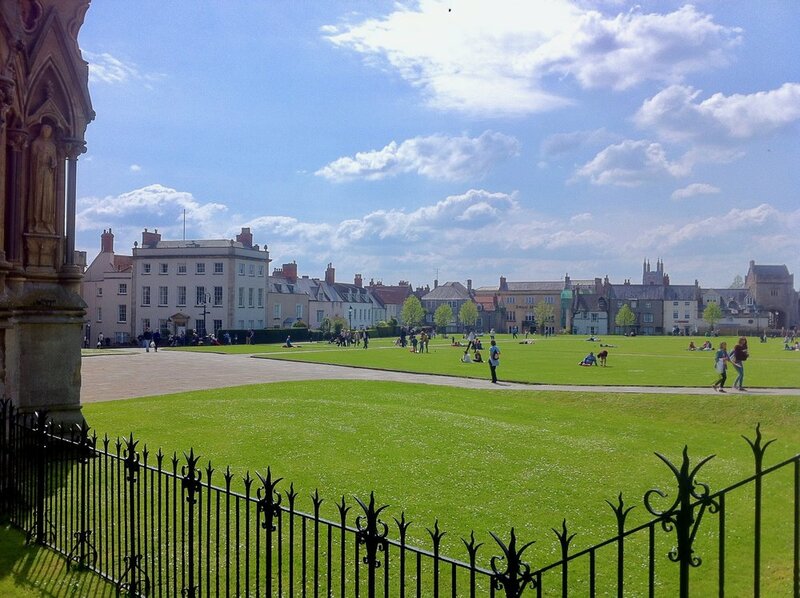 We’ll be staying in Wells overnight on the Saturday between the two rides. We do not provide accommodation for anyone joining us for both events, so you have the flexibility to choose a location and budget best suited to your requirements. We will however book a table for an evening meal in a local pub or restaurant on the Saturday night, so you can join us to socialise with fellow riders if you wish. This is not included in the event price but we’ll let you know the venue, meal options and price nearer the time and you can join us if you wish. We do not charge a fee for organising this, only the price of the meal. These two rides have been especially created to help support One25, one of our official partner charities, hence the specially chosen total distance of the two rides. May 2019 sees them running their My One25 Miles campaign, where people cover the distance in a variety of ways and we’re proud to support them with a two-wheeled option. We will donate £1 from your entry fee for each day you enter to the charity and we’ll send you details about how you can use the challenge to fundraise for them too if you wish.